Sometimes a Wi-FI connection is being flaky, or you simply want to disconnect from the WiFi network you are currently on. Most people typically do that by completely turning off the Wi-Fi on their Mac. 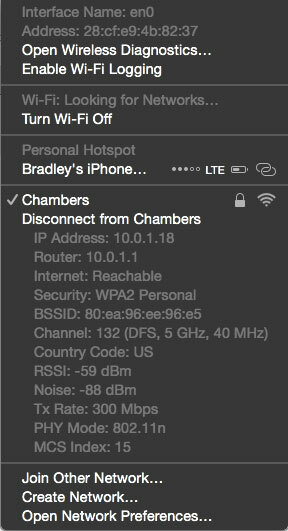 You can also do this by holding Option while clicking the Wi-Fi icon in your menu bar. You’ll then see a “Disconnect from…” option.